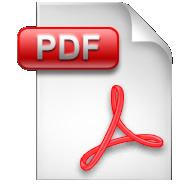 Email Newsletter - Don't Golf With Pain, Stiffness or Weakness! Specializing in rapid relief from pain, injury and weakness. 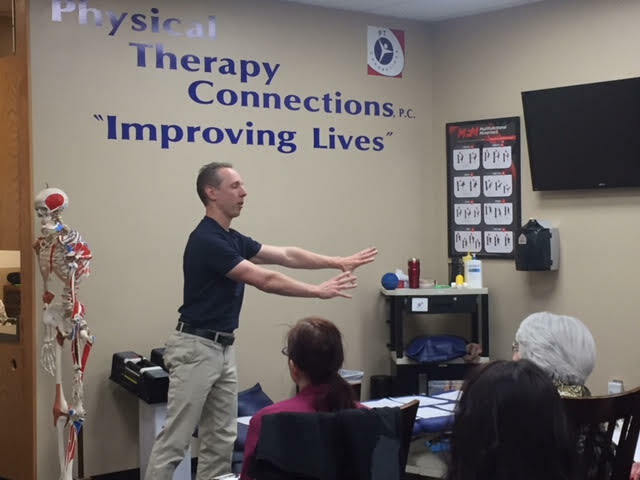 Chad Clark has been giving presentations in Pueblo to businesses and athletes on the importance of injury prevention and how to detect future injuries. Here he is featured at one of the Pueblo Fire Stations. We had a lot of fun and always look forward to reaching out to our community! 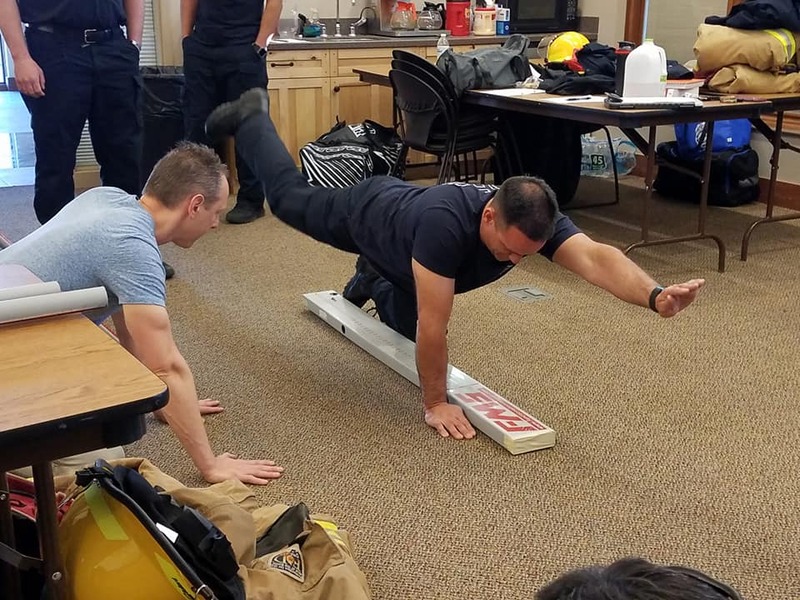 Injury prevention ties into your overall health. 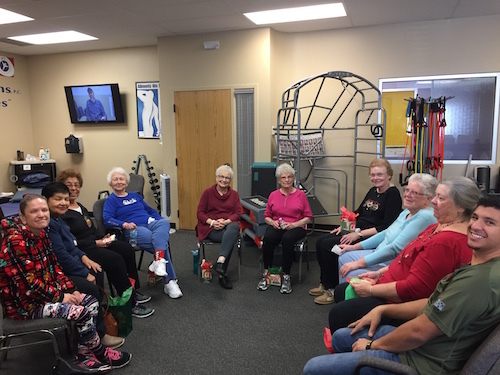 Many people are able to function and get by in their daily activities but have a risk of fall, re-injury or have chronic pain…that’s where we come in! Schedule your evaluation today to see how you can get back to doing the things that you love! 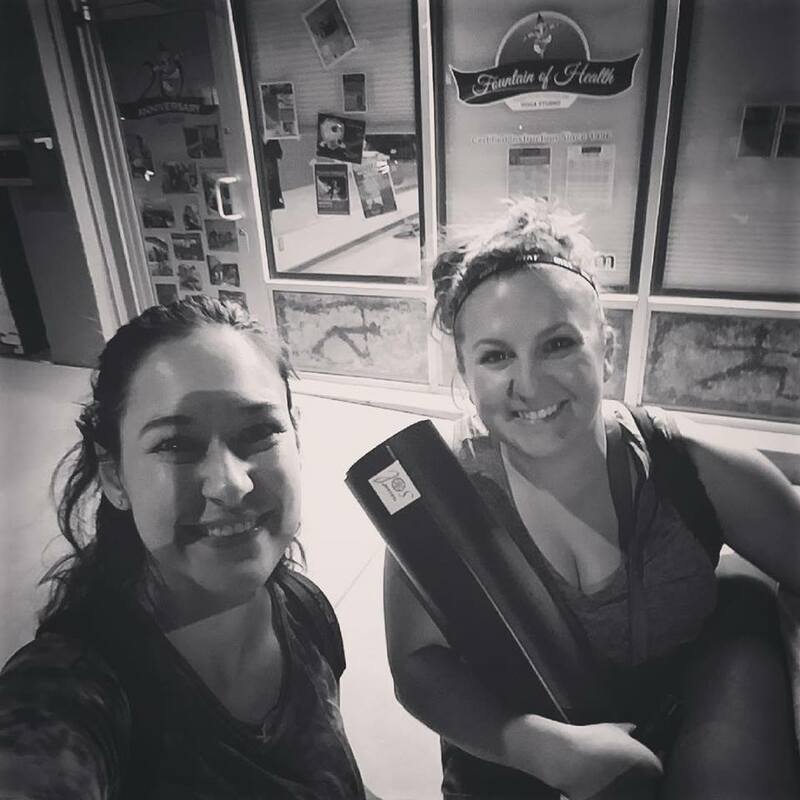 Sam squared (Samantha Brown and Samantha Goeke) are 3 months into their journey to becoming certified yoga instructors. 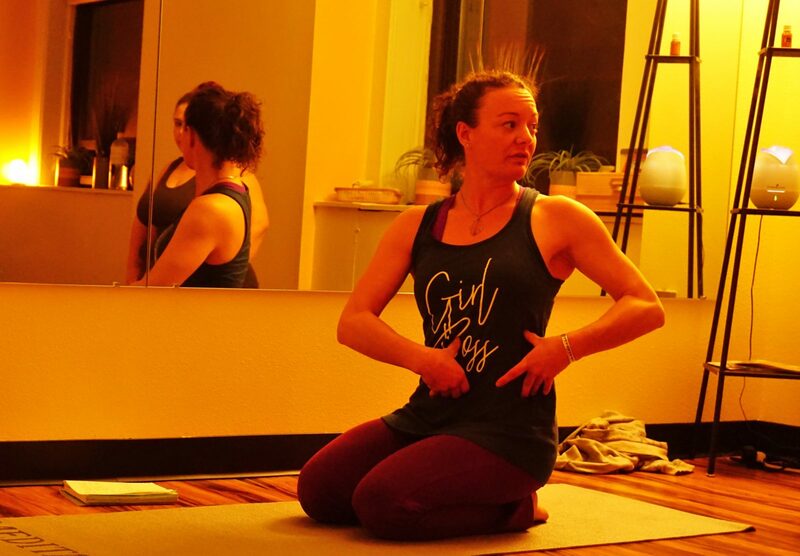 Keep an eye out for yoga workshops and free events in the upcoming months! We are offering our Tactical Assessments for only $59 during the month of March! 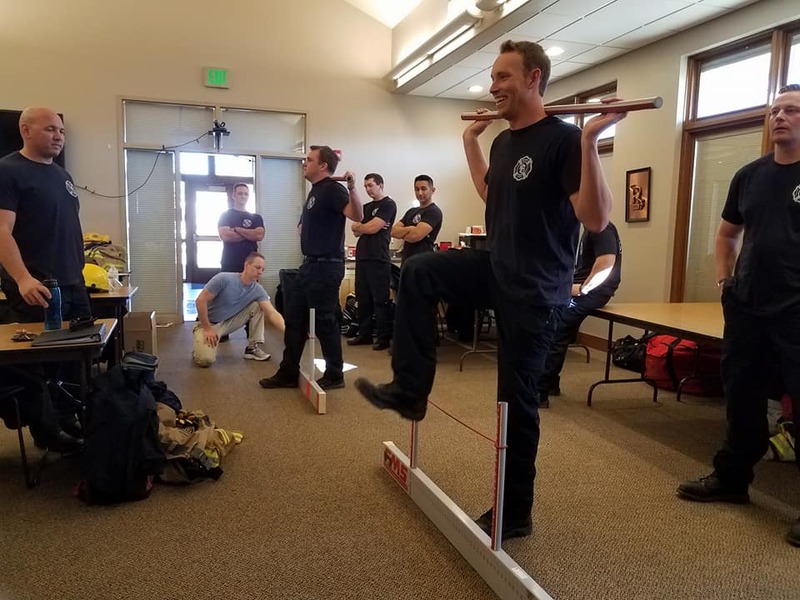 To learn more about our tactical assesment Click here or you can go to our website and view the tab under "Services"
As always, thank you for all of your continued support and awesome feedback! We appreciate each and every one of you. 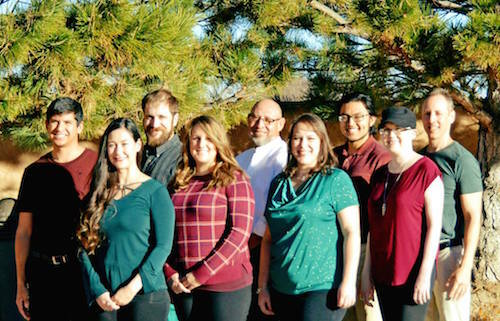 Want to know why we love working at PT-Connections so much? Click here to see some of our patient testimonials. Learn the lifelong tools to have better balance! 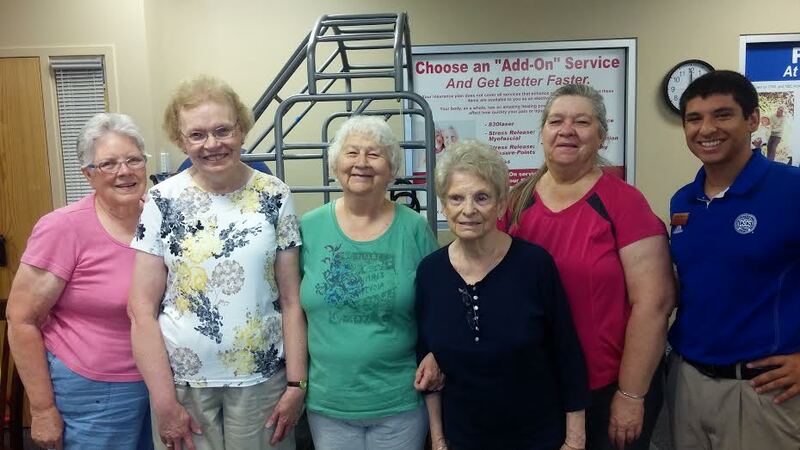 Make new friends and live long, and healthy. Monday, Wednesday and Friday at 11:00am. First visit is FREE for current paitients! During the month of April PT-Connections will be having an online Easter "egg" hunt. 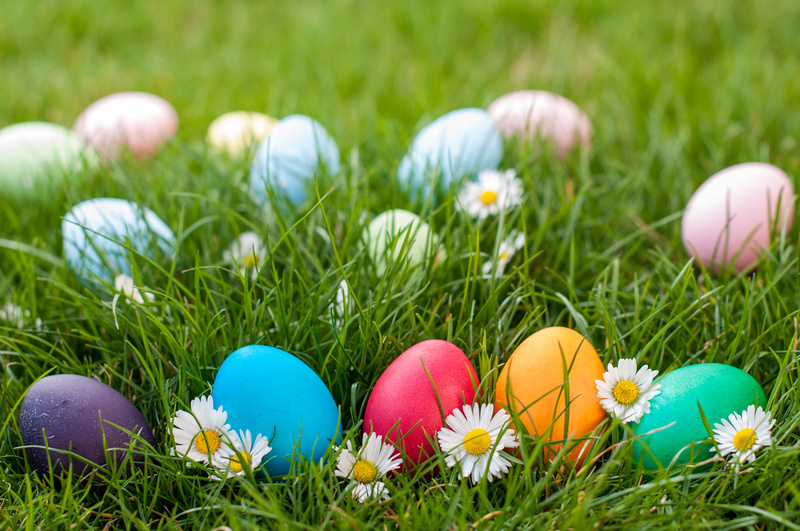 A list of clues will be emailed out the first week of April and you will have to scour our Website, Facebook, Twitter, Instagram, and YouTube page to find the hidden...."eggs". Collect all of the clues and you will win a free Real Appeal Blender and 1/2 hour massage! Keep an eye out for the clues to come the first week of April! We are staying up to date on the best treatment programs for our members and are here to get to the root of your pain. Events in March and April will be covered below. Don't forget to visit and follow us on Facebook, Instagram, Twitter, Pinterest, and YouTube! The ankle is one of the most overlooked and underrated body parts in golf. It plays a vital role on how we can utilize the ground as well as its impact on swing mechanics. In a normal back swing, a player will load the majority of their pressure on the inside of their trail foot while keeping the rest of the lower extremity stable. 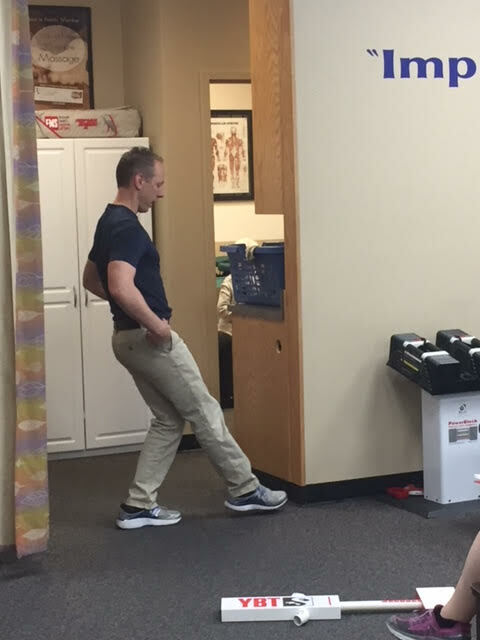 Those with history of ankle sprains in the trail leg may have limitations with ankle eversion. This can affect their ability to push off the trail leg and change the timing and the speed of which they transition to lead side. A trend we see in elite golfers is that they have pressure on their lead side earlier in the downswing, most notably at shaft vertical on the downswing. This is an important characteristic of golfers who are most effective at using the ground to generate club head speed. The knees tend to be a more stable joint than the ankle, but previous injuries to the knees can decrease quad strength and stability. This can be brought on by past ACL tears, meniscus tears, and chronic issues such as osteoarthritis. This can ultimately effect weight transfer to the lead leg during a swing causing a decrease in club head speed. Hip rotation directly affects the golfers ability to load weight on one side. 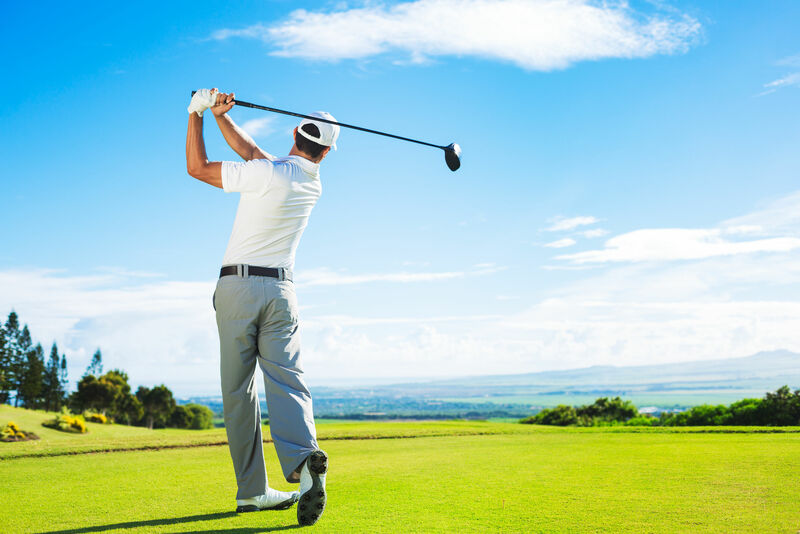 When golfers can not rotate well around their hip, they may demonstrate various swing characteristics such as a sway and slide, reverse spine angle, early extension, among others. When hip injuries/limitations are present they tend to have glute strength reductions as well. 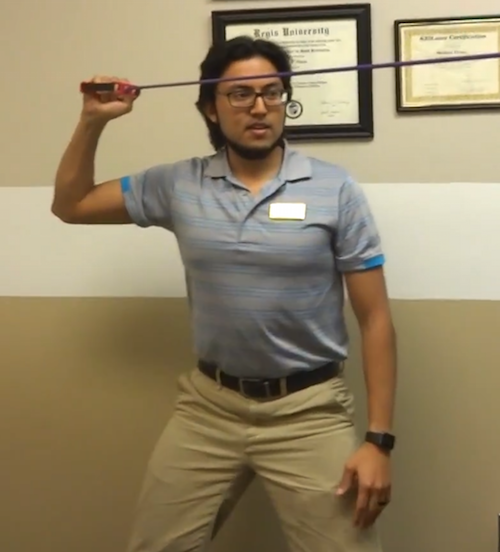 Decreased glute strength can directly affect the swing because it will not allow the golfer to add the appropriate weight to one side, causing compensatory movement patterns. So now that you have some knowledge of the limitations that may be affecting your golf game, what do you do about it? 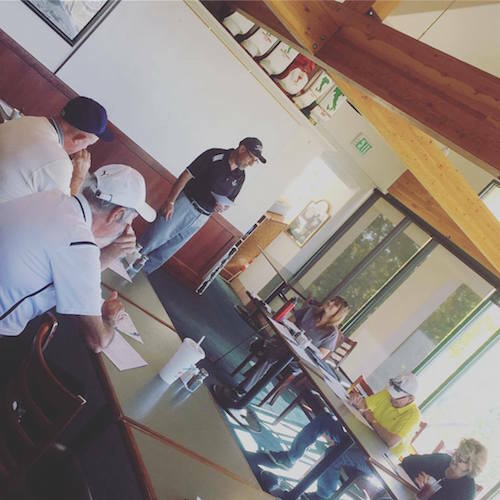 Max Madrid, LPTA is hosting a free workshop for golfers who have these limitations. 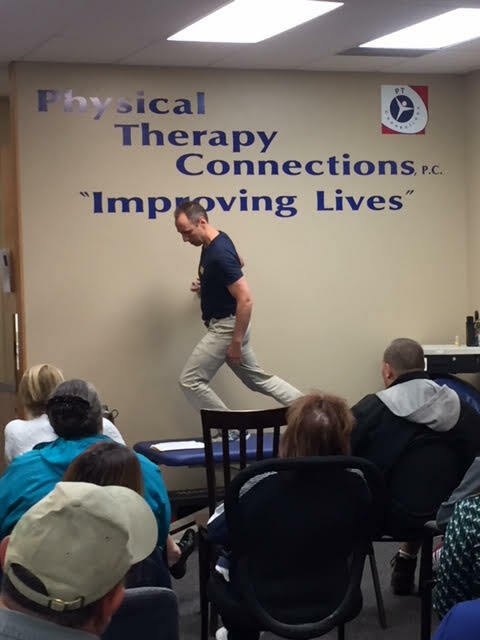 He will show you simple ways to relieve pain, correct balance issues, and loosen tight muscles/joints. Visit our Facebook Page or our Website to RSVP for this event. 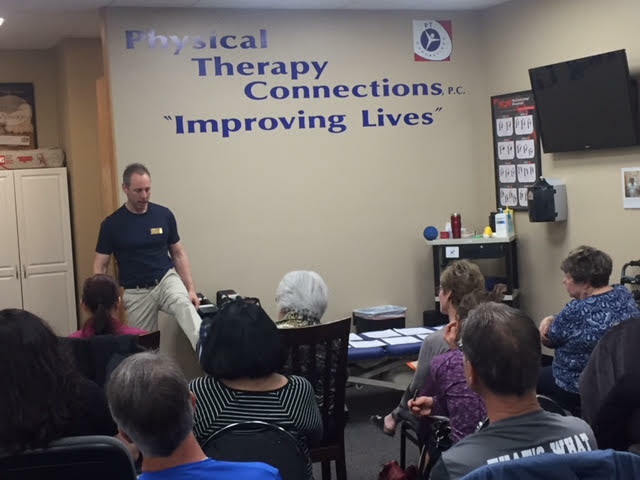 5:30 p.m. – 6:30 p. m.
"Great information about mobility and eccentric motion to lengthen muscles. Go get informed and try the natural method before injections of invasive medicine." -C.S. "Very informative with positive outcomes." -H.V. "Informative and a good place to start...Do it!" -D.E. "Chad is a very knowledgeable and personable. I liked the tests and would recommend this program if it were necessary for a friend or someone I come in contact with." -D.D. "Well worth the time! Chad is a very good presenter and very knowledgeable." -R.D. 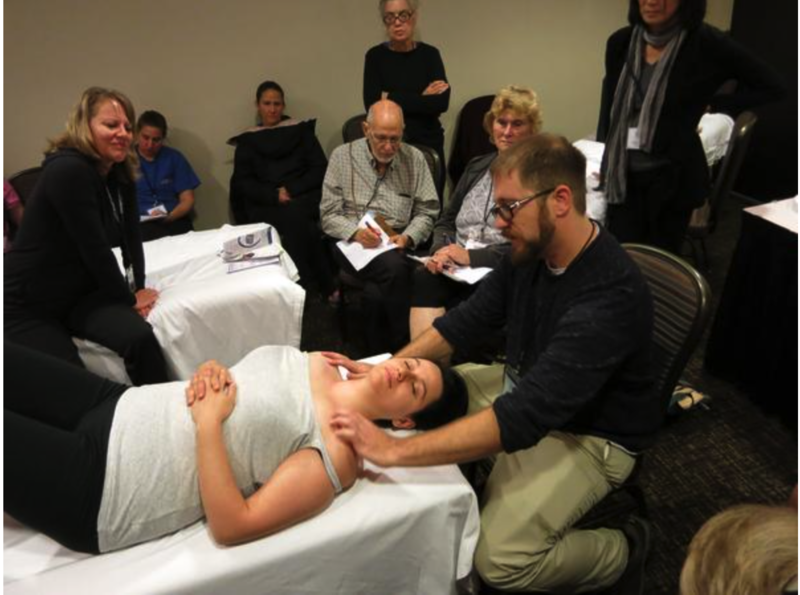 "Do consider coming to these workshops. Fear of working on pain or lack of mobility is easier than one thinks." -N.D.
"I would highly recommend therapy here. The staff is very knowledgeable." -P.M.
Leave a review on Google for Physical Therapy Connections, P.C. and get entered in to win a free 1/2 hour massage. Let us know how we're doing and what you enjoyed most about your time with us. Click HERE to leave your review. To see more pictures, follow us on our Facebook page, Twitter account or Instagram (Share this with as many people as you want).